France is the most romantic country in the world. In this country people give flowers to each other for any reason, or no reason at all. Have you ever strolled down the streets of Paris and seen men and women rushing somewhere with a bunch of flowers in their hands? 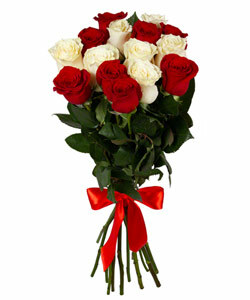 Is there an occasion which deserves flowers but you can’t be there to give a bouquet personally? 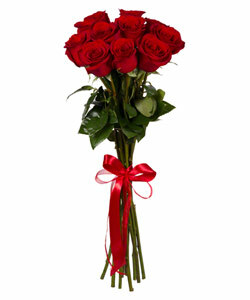 Delivering flowers to France is easier than ever with Megaflowers, you don’t even need a reason. It could be because someone made you laugh or surprised you, they were sweet or special to you, they helped and made you thankful, they simply need a friend, or you want them to know that they are more than a friend. The French are connoisseurs of everything: good food, great wine, amazing declarations of love, and, of course, beautiful flowers. And if you need flowers delivered to any city in France, trust it to Megaflowers. Our company has substantial experience in delivering fresh, vibrant, fragrant bouquets or lush houseplants to any part of France. Be it a large city, or a small village, rest assured that our delivery service will reach your loved ones quickly and efficiently. We have a large assortment of exclusive flower compositions and individual flowers so you can create your own, unique arrangement. Megaflowers offers a wide range of services for very affordableprices. Sometimes even being in the same city it isn’t easy to find the time to go to a florist. Sometimes, when you make it to a flower shop, you can’t decide what type of flowers is best for the occasion and florists not always have the perfect bouquet. Snow-white roses, beautiful blue iris, multicolored tulips, blood-red carnations – if you are not sure which flowers go well with each other, or the message a mixed bouquet can carry, Megaflowers can help. Our online database has many examples to choose from as well as online assistance to help you create a personalized bouquet. Not to mention that ordering online is the best way to express your feelings when you are far away from those you love. Flower delivery to France has never been this easy! If you don’t have much time to think about it but need flowers delivered to France today, check out some of our occasions databases, such as ‘Anniversary’, ‘Birthday’, ‘Valentine’s Day’, ‘Easter’, and ‘Wedding’, among many others. Simply click on an arrangement you like, pay for your order, and the bouquet of your choice will be delivered to the recipient on the same day. It’s as easy as one-two-three!